Charlotte Runcie has always felt pulled to the sea, lured by its soothing, calming qualities but also enlivened and inspired by its salty wildness. When she loses her beloved grandmother, and becomes pregnant with her first child, she feels its pull even more intensely. 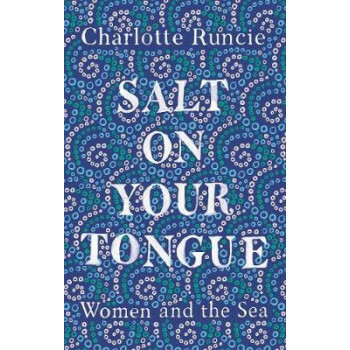 In Salt On Your Tongue Charlotte explores what the sea means to us, and particularly what it has meant to women through the ages. This book is a walk on the beach with Turner, with Shakespeare, with the Romantic Poets and shanty-singers. It's an ode to our oceans - to the sailors who brave their treacherous waters, to the women who lost their loved ones to the waves, to the creatures that dwell in their depths, to beach trawlers, swimmers, seabirds and mermaids. In mesmerising prose, Charlotte Runcie explores how the sea has inspired, fascinated and terrified us, and how she herself fell in love with the deep blue. Navigating through ancient Greek myths, poetry, shipwrecks and Scottish folktales, Salt On Your Tongue is about how the wild untameable waves can help us understand what it means to be human.